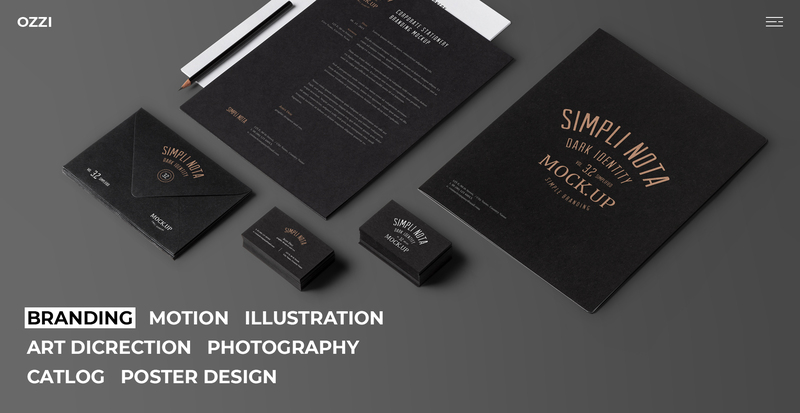 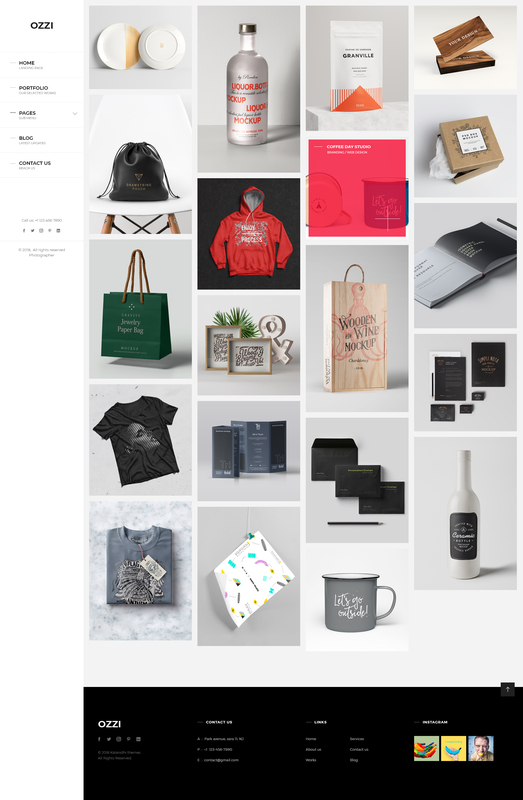 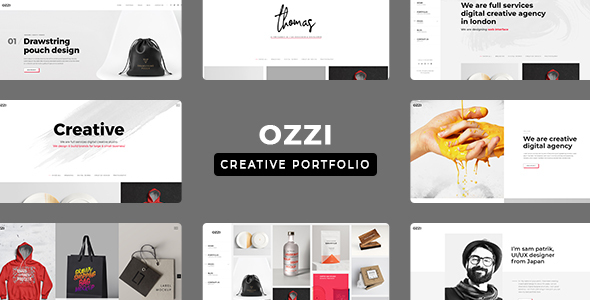 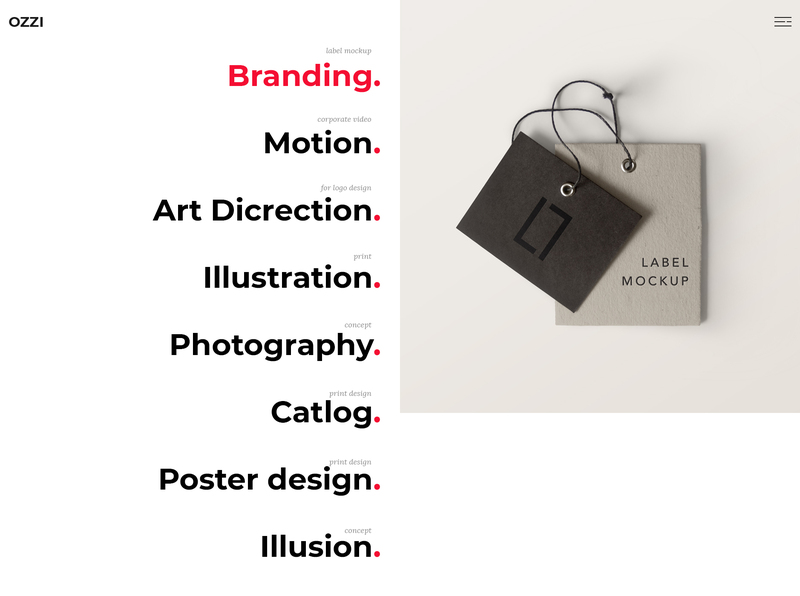 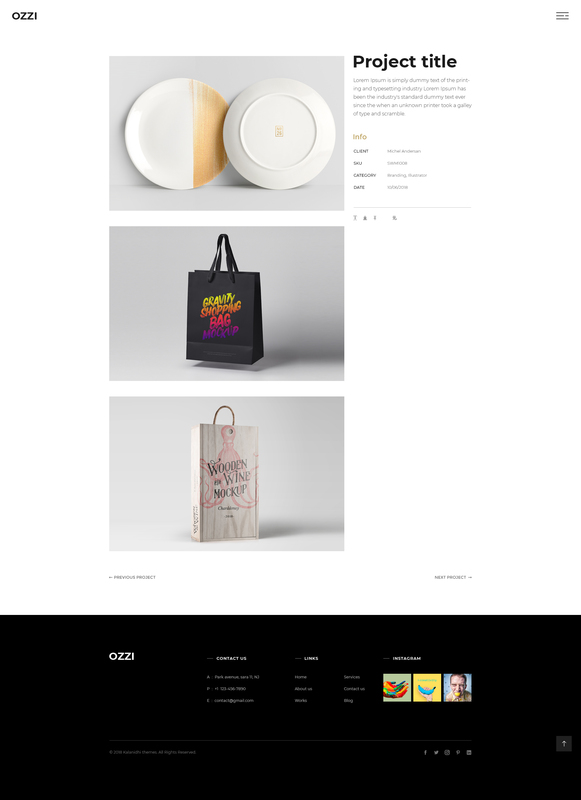 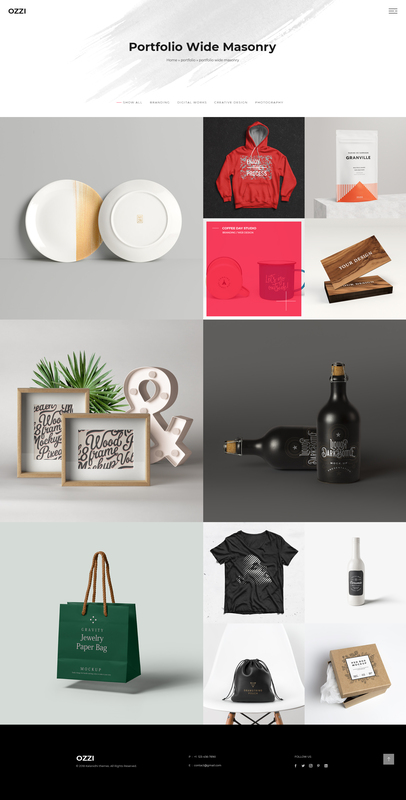 OZZI is a creative minimal and modern portfolio PSD template. 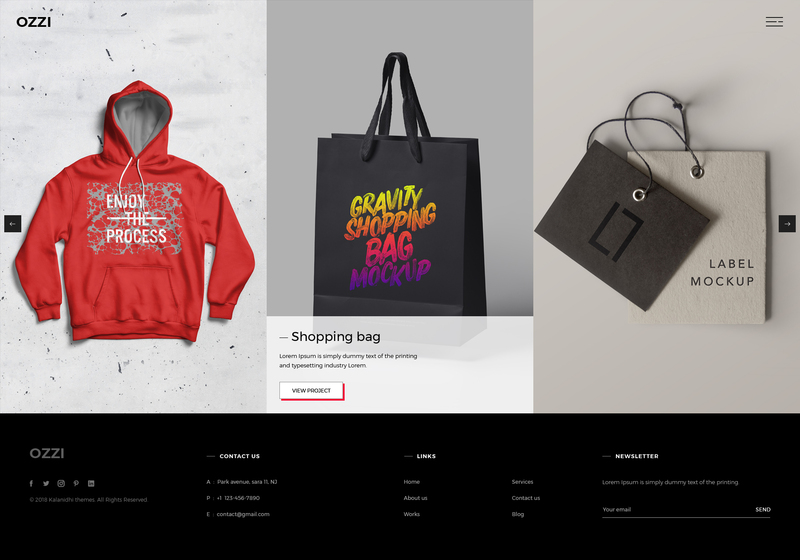 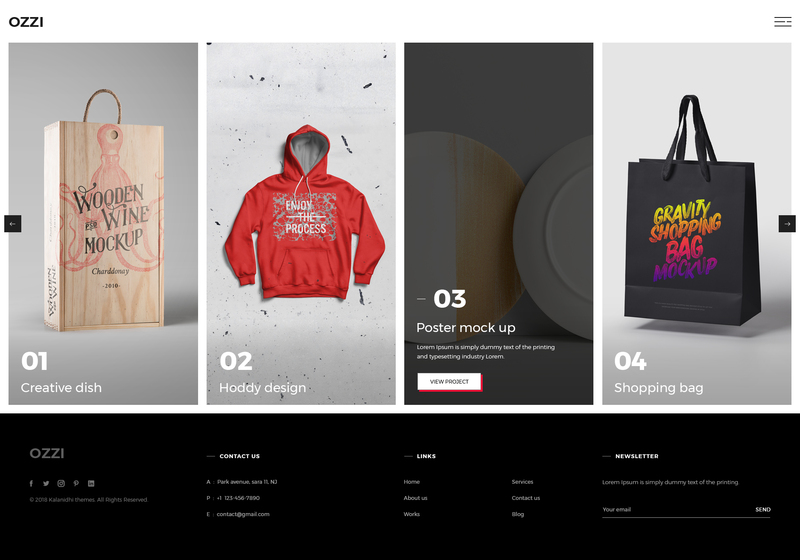 This template is a great choice for all creatives, freelancers and creative agencies, studios as it allows each user to make stunning showcases of their work. 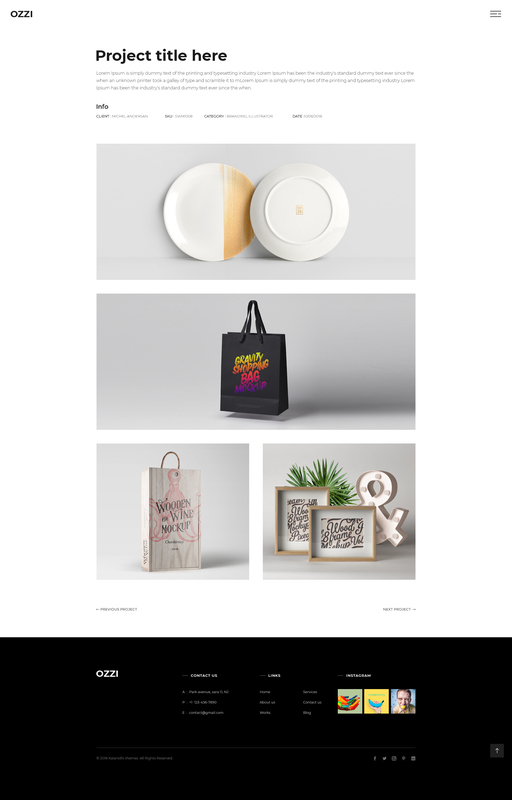 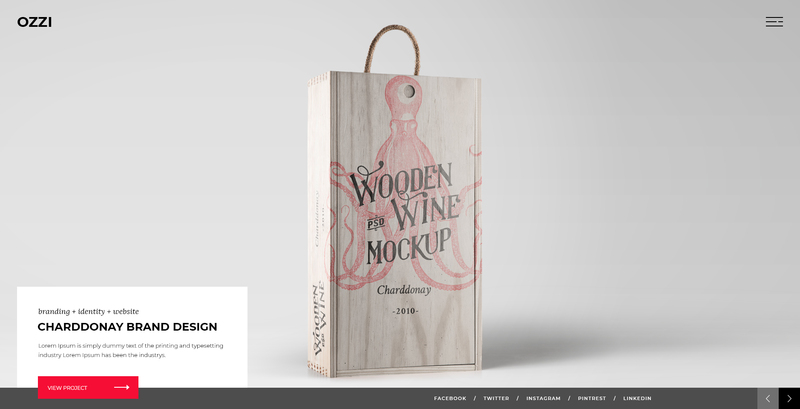 Template includes a maximum variations of creative portfolio layouts, including masonry, carousel, and metro styles, as well as portfolio columns and split slider templates. 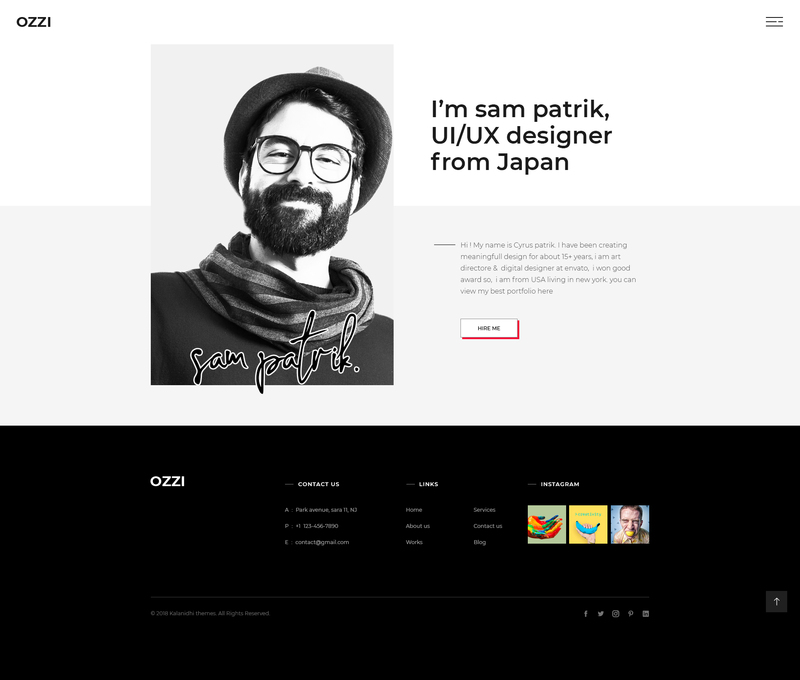 This Template is Designed based on world famous framwork Bootstrap 1170 Grid System. 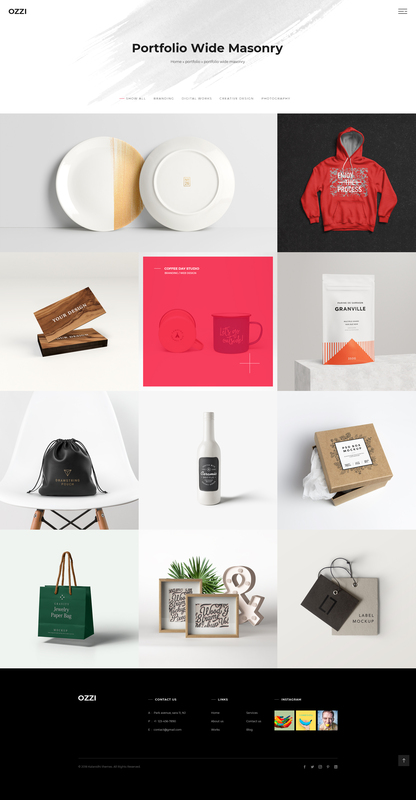 PSD file has been well organized and nicely commented layers name for easy customization and included a well documentation, which will help you customize the PSD.